What if you had a way to visualize all the API calls you made during your development and integration with the Google AdWords API? Wouldn't that make coding and integrating your software with that API just a bit easier? As expected, Google announced a new tool to "visualize the effects of a request on your account and to retrieve information such as IDs that are needed when running examples." 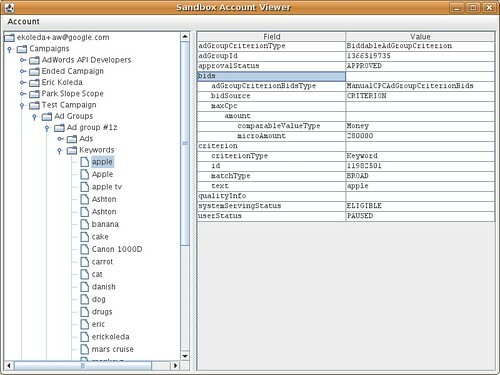 It is called the Sandbox Account Viewer and it displays information exactly as it is returned by the API. You can download the source code for it over here.